From 1920 to 1990 we list all of the craziest fads that have come and gone. Go back a few decades and read about the silly to serious fads that helped change our society and create a pop-culture. Ken Burns film which chronicles the worst man-made ecological disaster in American history, in which the frenzied wheat boom of the “Great Plow-Up,” followed by a decade-long drought during the 1930s nearly swept away the breadbasket of the nation. Vivid interviews with twenty-six survivors of those hard times, combined with dramatic photographs and seldom seen movie footage, bring to life stories of incredible human suffering and equally incredible human perseverance. It is also a morality tale about our relationship to the land that sustains us—a lesson we ignore at our peril. Jim Crow was not a person, yet affected the lives of millions of people. Named after a popular 19th-century minstrel song that stereotyped African Americans, “Jim Crow” came to personify the system of government-sanctioned racial oppression and segregation in the United States. PBS. A series of notebooks about growing up in rural America during the early 1900’s. Written for the young reader. In the early years of the 20th century, children as young as eight years old worked in the coal mines. The work was hard and the “little boys” grew old and stooped before their time. The RMS Titanic has salvage rights, and here they answer questions often asked about the sinking of the “unsinkable” liner, the Titanic. Be sure to take the dive down to the ship in the “Return to the Deep section of the site. Interesting people, advertising art, tales of Christmas past, and inventions. Unfortunately, not all the internal links work, but those do. The 1920s era went by such names as the Jazz Age, the Age of Intolerance, and the Age of Wonderful Nonsense. Under any moniker, the era embodied the beginning of modern America. Games played an important part in coal camp life in the 1920s and 1930s. Most of the families of Utah coal miners were poor. Their children had few “store-bought” games or toys. Through imagination, the children made the best of what they had. In her 80s, Martha Linsley bought a small typewriter and began to transcribe the hundreds of letters she, her children, and her husband James wrote to one another from June, 1932, to August, 1934. Their correspondence may very well comprise the most extensive written insight into the day-to-day lives of a family dealing with the challenges of the Great Depression. This Smithsonian site allows you to explore the 1930s through paintings, artist memorabilia, historical documents, newsreels, period photographs, music and video in a virtual, 3-D movie theater with rooms that feature the topics, “American People,” “City Life,” “Labor,” “Industry,” “Leisure,” “The City,” “The Country” and “Nature.” The site, which was developed for eighth and 11th graders studying American history, provides opportunities for students to more fully employ the use of primary source documents. 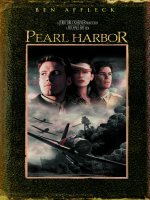 Recreation of Pearl Harbor and the harrowing wartime aftermath. Multimedia Map and Time Line: Photos, footage, firsthand accounts, and narration bring the attack to life-moment by moment, target by target. The powerful writings of a teenager from the darkness of her hiding place during the Holocaust can teach us much about making a difference for the 21st century. Two miles to the gallon. Seats five uncomfortably. No cup holders. Are you ready for an adventure — in a tank? A trip into the era of your parents’ childhood. Listen to their favorite tunes, check out what they watched on TV! The 50s and 60s was a time of struggle for American blacks to gain the rights guaranteed by the Constitution. Fighting racial segregation in the South, these activists were beaten and arrested. Where are they now, nearly fifty years later? From the Smithsonian. Their music and fashions invaded the US in the 1960s. Meet The Beatles, The Kinks, The Who, The Rolling Stones, The Animals, The Hollies and The Yardbirds. Advanced. Some of the photos and stories may be disturbing to young children and sensitive souls. This is huge archive, and a good place to start looking for information about what happened that day.